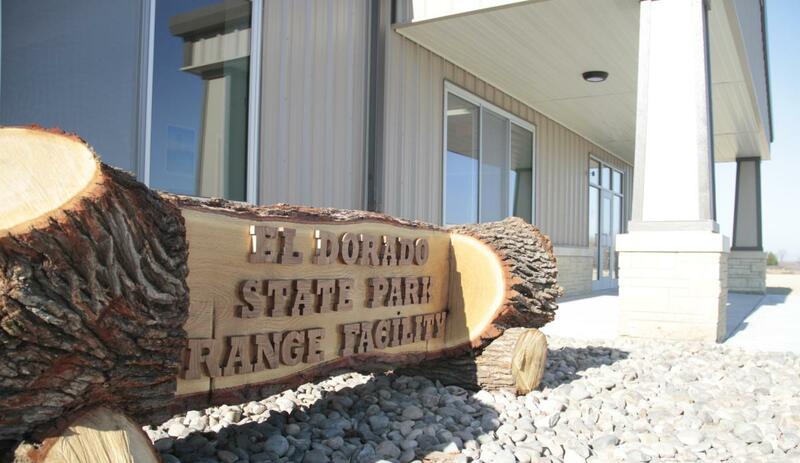 Saturday, Dec. 8 is the opening of the new El Dorado State Park Shooting Range. The public is invited to tour of the facility, get a free lunch and shoot some targets. The six-acre facility has a sizable gravel parking area and concrete sidewalks. There is also a 2,400 square-foot-building, with full utilities, for events like hunter education classes or women’s shooting clinics. The range is at 2980 NE Shady Creek Access Rd, El Dorado. That’s a half-mile west of the El Dorado State Park office. Three-quarters of the estimated $3 million needed to build the facility came from federal excise taxes on shooting and hunting equipment. Such funds are ear-marked only for projects that promote hunting or target shooting. The other one-fourth came from fees charged to sportsmen for Kansas hunting licenses and permits. Vehicles entering the range will need a state park pass, which are as little as $5 per day. Shooting passes will be $10 per day, $50 quarterly or $200 for the year. Normal range hours are Friday and Saturday, 10 a.m.-4 p.m. and Sundays noon to dusk. Shooters must furnish their own guns, ammo and safety gear. 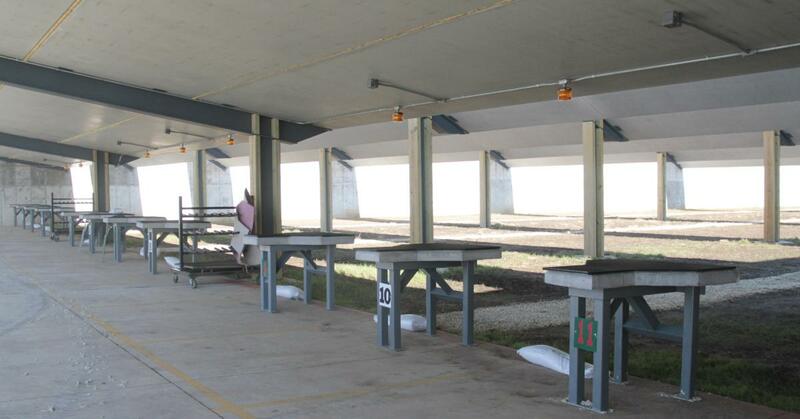 Trained members of the Friends of the El Dorado Shooting Range will supervise the range during all open hours. Studies indicate the range will be very popular, as are similar facilities in Tuttle Creek and Hillsdale state parks. According to the National Shooting Sports Foundation there are an estimated 50 million target shooters in America. Target shooting has more participants than baseball or soccer. The number of women shooting targets has increased over 80 percent since 2001. 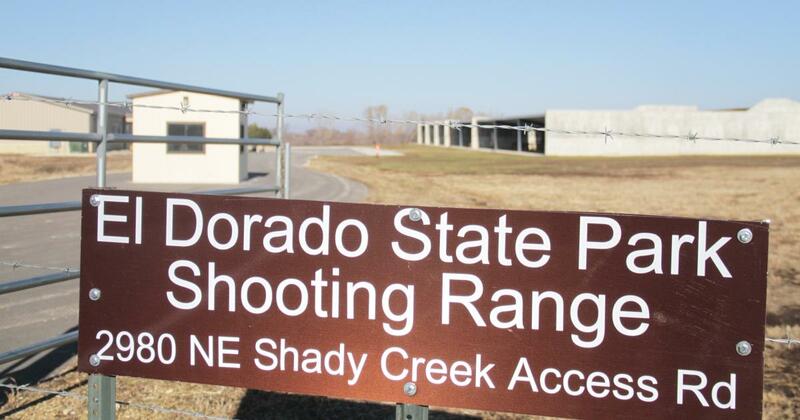 Clay target shooting will only be allowed at El Dorado State Park Shooting Range during special events. No kinds of target shooting are allowed on public lands in Kansas unless it is specifically designated and marked. That means target shooting is illegal on most public hunting and wildlife areas. El Dorado State Park is one of several state parks that offer nice archery ranges. To learn more about Kansas state parks click here.